A salute to Classical Rioja! I first heard of the term “Classical Rioja” when dining out with a well-to-do gentleman in the Madrid restaurant Botin. This restaurant is one of the oldest in the world. In fact, according to the Guinness world record, it is the most ancient establishment in the world, serving meals since 1725 without any interruptions. Botin is an “asador”, a place that specializes in roasting meats. They cook an average 50 suckling pigs a day. So if you ever visit Madrid, make sure that you visit this landmark institution. Me and Jose had several Riojas that he brought from his cellar. In the course of that evening we had several legendary wines that include an Imperial CVNE Gran Reserva 1976, Marques de Riscal Rioja Reserva 1968 and Marqués de Murrieta Rioja Castillo Ygay Gran Reserva Especial and 1978.I had a very difficult time understanding and appreciating these wines. I was in a phase of drinking Alta expresion Rioja and super extracted Priorat wines and my palate was not calibrated for mature wines. It took me further training and more tasting experiences with examples such as Vina Tondonia Gran Reserva 1964 to love Classical Rioja. Classical Rioja wines represent elegance and subtlety instead of power and concentration. They are balanced, pleasant with a long persistent finish. The style was characterized by an emphasis on American oak aging which became its most recognizable trademark. These are wines that show predominant tertiary aromas as a result of the evolution of the wine in cask where the fruit becomes delicately embedded in the wood. In the mouth, these are very fresh wines with a high acidity leading to round tannins product of barrel aging. They are at least 75 % tempranillo with the remaining balance consisting of Mazuelo, Garnacha and Graciano. This the old school Rioja, the style that I love the most. It was in 1858 that Don Camilio Hurtado de Amezaga, the Marques de Riscal, was asked by the Diputacion Foral de Alava ( the Provincial Council of Alava) to find an expert in Bordeaux to teach winemaking techniques to the region’s vintners. That man was Jean Pineau of Chateau Lanessan, who spread the gospel of oak aging. By the end of the nineteenth century the wines from both Marques de Riscal and Marques de Murrieta were being aged in oak barrels. However at the time French oak barrels were difficult to obtain and the Riojan winemakers decided to obtain their wood from the ex American colonies whose oak was very affordable and quite available.Ageing in American oak had many advantages that made the wines very attractive to Spanish drinkers who had never before been able to enjoy high quality wines from their own country. The rich oak vanilla flavour became a fundamental part of the wine style, as did the silky texture and smooth tannins. This came from the long oak ageing which also ensured, together with careful racking, that the wines had little or no sediment in the bottle, something that is much appreciated to this day. The classical history of Rioja wines can also be credited to Luciano de Murrieta (also known as the Marqués de Murrieta) who traveled to Bordeaux and returned to establish the first commercial bodega in the region by 1852. The new King of Spain, Amadeo de Saboya, gave him the Marqués title and praised him for making Médoc style wines. The 1855 classification of Bordeaux had inspired many other red winemaking regions around the world to produce similar style wines. A very important Bodega in Rioja crafting some of the classical wines that I enjoy the most is Bodegas Valdemar. Valdemar’s history goes way back to 1899 when the Martinez Bujanda family set up shop in the small village of Oyon in Rioja Alavesa. Today, the winery compass five generations of winemaking in Rioja. Valdemar follows the Riojan tradition of blending fruit from the three subregions of Rioja; However, Valdemar is different from the other Bodegas because all of their fruit is estate owned. Valdemar owns more than 1000 acres ( 425 hectares) of vineyards in the region. Not long ago, I recently had a chance to meet Roberto Alonso, the export director of Bodegas Valdemar for a tasting of their wines available in the SAQ. The invitation was a courtesy of their importer in Quebec, Selections Oeno. Lovely nose. I am in love with its fine bouquet Very aromatic. Notes of green apple, yellow pepper, endives complemented by white pepper as well as Acacia and jazmin leaves. Round and caressing with a mouthwatering acidity and very elegant finale. 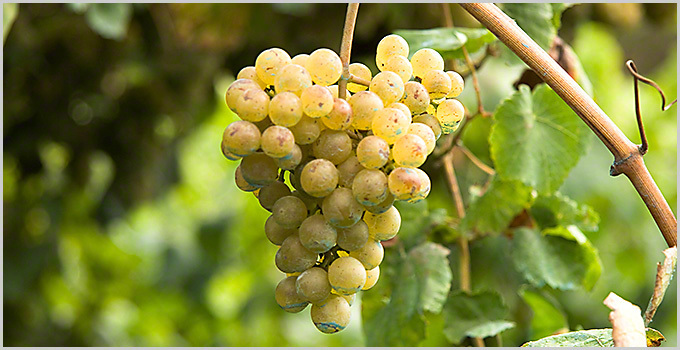 Ripe pear with lemon meyer notes and floral undertones such as camomille. On the mouth,crisp and vibrant with a delicious saltiness and wonderful retronasal flavors that bring to mind crushed yellow fruits. Excellent quality price ratio as well. Matching the Valdemar wines with roasted suckling pig. Classical Rioja has a natural affinity for meat dishes. On the nose, a classical Rioja nose that brings to mind prune jam, bitter orange peel, vanilla favoured cigar tobacco and black cherry. On the mouth, round and elegant. This wine is quite subtle with satiny tannins and a spicy finish. A fantastic reserva with vibrant notes of ripe black cherry, fig jam, pepper sauce and delicate nuances of red meat. On the mouth, elegant with soft tannins displaying a wonderful harmony and balance.Lovely retronasal flavours of blackcurrant, roasted peppers with smoke and fountain ink. Very long with a lingering aftertaste. Still can be easily kept for another 10 years. A lovely mature classical Rioja. Subtle Tertiary notes such as wet mountain leaves and mahogany wood with montecristo cigar tobacco, cacao, dry coriander and cumin. In the palate, structured with firm tannins, good acidity and zen like balance. Graceful with many years of life ahead. On the nose a pitted cherry note with prune and cassis marmalade.. Woody yet pleasant in a modern style with an echo of a traditional Rioja.. Delicious red fruit flavours, nicely concentrated but not very extracted with a racy finale.